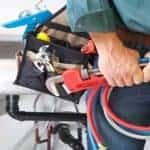 Water Heater Repair – A&C Heating and Plumbing Ltd. 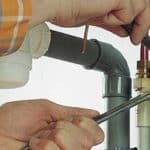 Whether you require a water heater repair in the London area or you’ve realized it’s time for a new water heater installation, A&C Heating and Plumbing has the expertise you need. Our well-trained plumbing technicians can perform any water heater repair you throw our way. 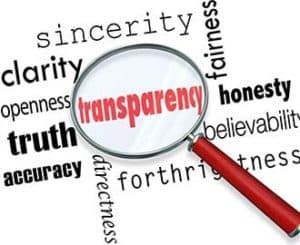 Plus, we carry all the best products—from tankless water heaters and solar/hybrids to traditional tank water heaters—so we know how each make and model works and can get the job done quickly and professionally. As with most appliances, regular maintenance keeps them in working order and water heaters are no exception. Never try to install a hot water heater on your own. An improperly installed water heater in your home can result in major damage as well as present the risk of injury to yourself. 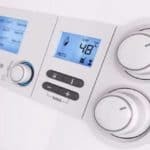 The hot water heaters repair experts at A&C Heating and Plumbing have been safely and professionally installing new conventional and tankless water heaters for many years. When it’s time for a water heater replacement, you have many things to think about. A&C Heating and Plumbing is ready to help. Before you buy a new water heater, you want to decide which system best fits your family’s needs. 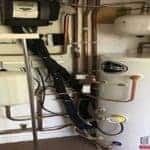 Fortunately, the team of experts at A&C Heating and Plumbing can speak with you about the things you’ll need to choose from, including which type of fuel is best for your water heating needs, how big your water heater tank needs to be, how energy efficient the system is and which versions are within your budget. When a repair isn’t enough, we’re available to install brand new heating systems for you. 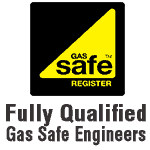 Whether you need a combi or condensing boiler, new heating controls, cooker installations or a modern water heater, we’ll make sure you’re taken care of. Our services are not limited to heating; we’ll install and replace toilets, kitchen installations, taps and bathroom drains. Consider us your ‘all-in-one’ solution to your plumbing problems!